Over the past nine months, the number of US cases of an emerging, multi-drug resistant fungus has ballooned from 7 to more than 122. 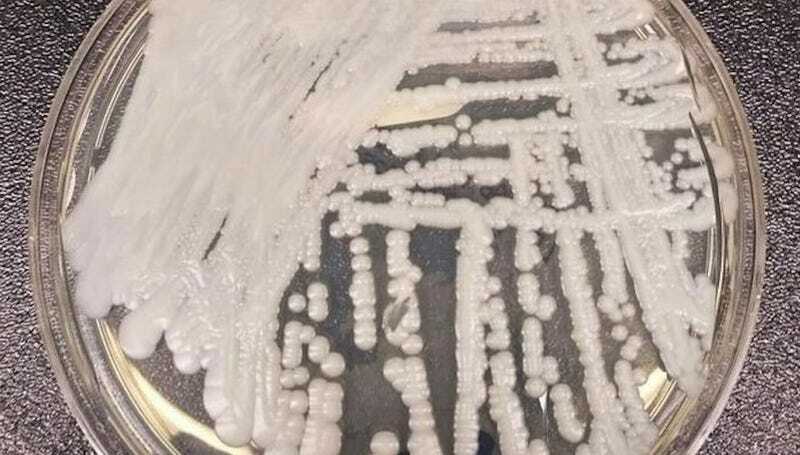 What’s more, the fungus, Candida auris, seems to be spreading, according to a field report the Centers for Disease Control released Thursday. So-called ‘superbugs’ usually reference bacteria that are especially hard to kill, having evolved resistance to multiple antibiotics. Superbugs have become a major problem, with some bacteria evolving resistance to so many drugs there is no longer a readily available way to kill them. To stave off an antibiotic apocalypse, we may eventually need to discover lots of new drugs, or alternate methods of vanquishing these tough critters. Like those bacteria, C. auris appears to have evolved resistance to multiple drugs. It causes severe illness and has a high-mortality rate, especially among high-risk, hospitalized patients. The fungus was first identified in 2009 and has now been reported in more than a dozen countries. According to the CDC, which issued an initial warning last June, 77 cases have been identified in hospitals in seven states, mainly in elderly people. The number jumped to 122 when close contacts of those patients were also screened. For now, C.auris appears to be relatively rare in the US. But perhaps the most frightening thing about antibiotic-resistant bacteria is that because state and federal agencies have done a poor job keeping track of superbug-related deaths, we really don’t have a handle on how big the problem is. Let’s hope that as these super fungus spread, we do a better job keeping track of them.